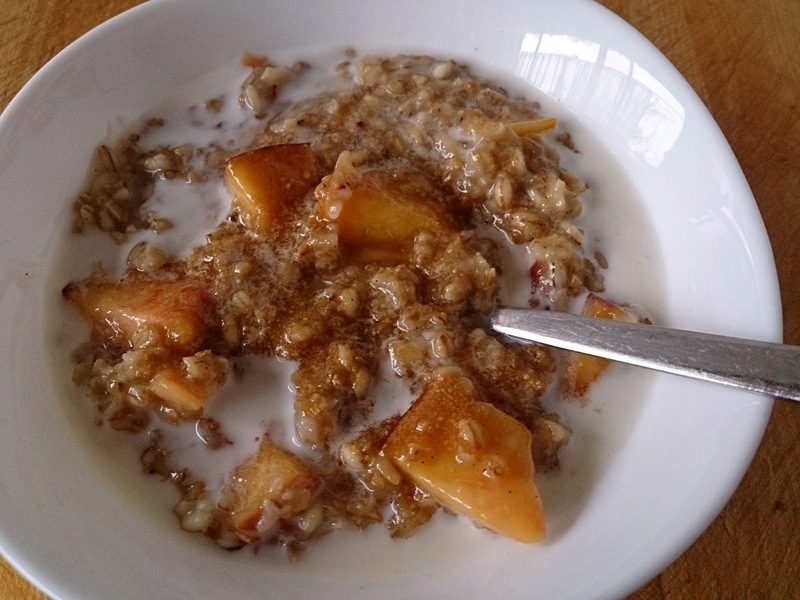 This is definitely not like instant peaches and cream oatmeal it's better :) It's a stick to your ribs chewy bowl of amazing!! I tried making this in the microwave and I would definitely make this on the stove top. You could make double or triple and put extra in individual dishes either in the fridge or freezer to heat in the microwave a different day! I also wouldn't buy containers of the grains but go to your bulk section or health food store bulk section and buy a cup of each for a dollar or two. That will make many breakfasts. 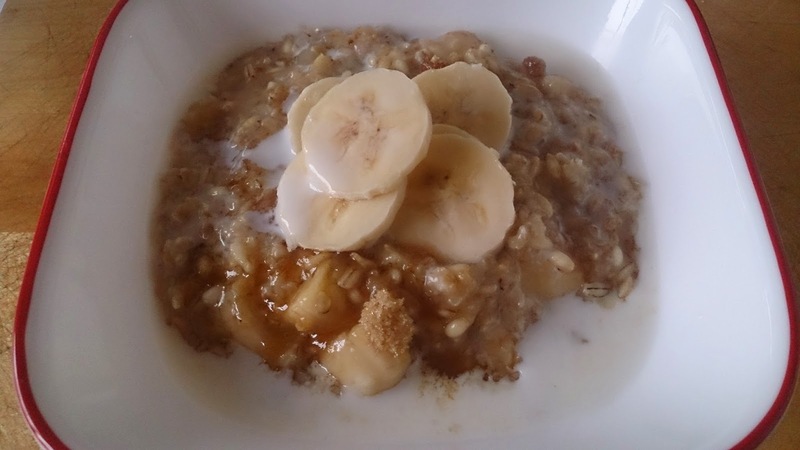 Put the bulgur, barley, oats, water, vanilla and optional sweetener in a saucepan and cook on medium heat until boiling then keep stirring until thickened. It will still be chewy but cooked. Add the peach and cook for another minute or two.